Ladies and gentlemen put your hands together for the hot-swinging, table-rocking, jive-hopping sensation that is, The Daisies! The all-singing, all-dancing female close harmony trio. Showcasing a delightful mix of classic hits from the bygone years and popular modern songs with a unique vintage twist! Dazzling audiences internationally with their intricate harmonies, cute vintage choreography and fun loving flare! 40’s, 50’s, 60’s and Popular Modern Songs with a Vintage Twist! Introducing the latest sensation that is The Daisies. Fusing together smooth sizzling three part harmony with cute choreography! 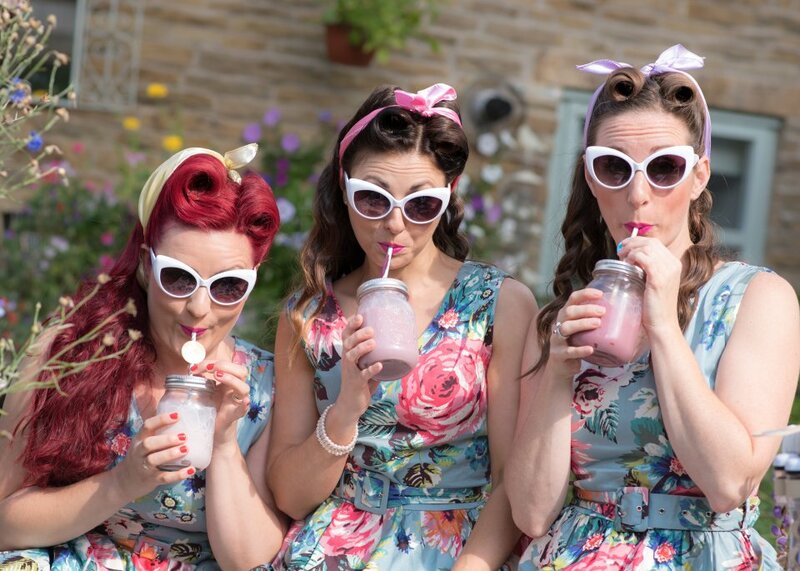 If you are looking to add something extra special and unique to your vintage party The Daisies provide the perfect blend of musical entertainment and vintage sparkle! Their performances promise to dazzle your guests and create a glittering atmosphere, combining smooth harmonies with pin-up couture. The Daisies cover a range of classic toe-tapping hits over five dazzling shows! 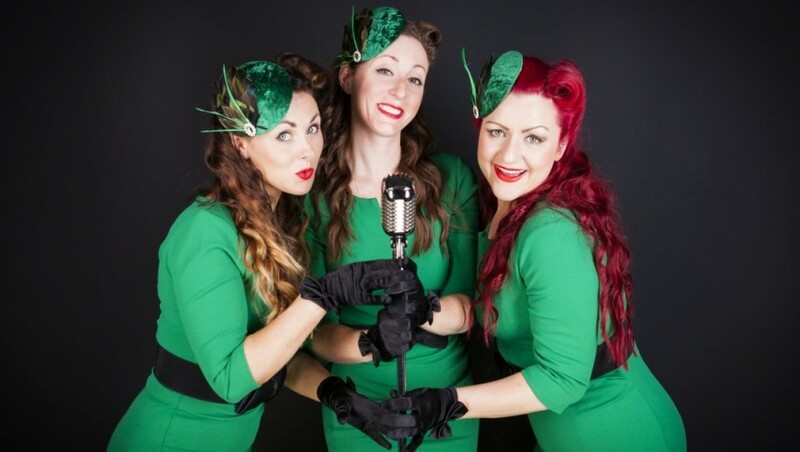 The Boogie Woogie bugle belles of company Daisy transport you back to the fabulous 40s when sirens, rationing and Churchill hit the headlines! So keep calm and soldier on, as we join together with plenty of flag waving and a good old fashioned knees up! Feauturing hits by The Andrew Sisters, Dame Vera Lynn, Gracie Fields and many more! Petticoats and polkadots at the ready! A Daisy rockin’, Jive hoppin’ show paying tribute to the classic rock n roll hits that shook up a generation! Shake, rattle n roll in this wonderful frolicking fifties extravaganza... Jailhouse rockers welcome! Featuring hits by Elvis, The Chordettes, Chuck Berry and many more! Get in the mood for this mega mix of vintage hits spanning all decades including the 1920s, Great Gatsby era and beyond! This sensational show features simply the best hits from all shows with a smooth, sparkling mix of modern songs done in a Daisy style, shaken not stirred! Songs by The Andrews Sisters, The Puppini Sisters, Postmodern Jukebox and many more! Do the Daisy swingeroo and show us your best Charleston moves as we take you on a magical mystery tour back to the bootleggin 20s! Hit after hit of jazz glitz, n glam! A high energy, all singing, all dancing show full of flapper fun to compliment your very own Great Gatsby themed bash! The Daisies are fully adaptable and can perform as a trio with quality backing tracks or with the accompaniment of a backing band. The Daisies were fantastic, booked them for my mother’s 90th birthday party and they were loved by young and old alike. Could not have picked a better act, thank you girls for making it a night for all to remember. What a fantastic act. The Daisies are great performers with so many compliments for them. Thank you. The girls are a first class act and we have received positive feedback from all. The Daisies were exactly what we’d hoped for, and more. The girls went above and beyond to make my Mum’s 80th a special occasion, learning a special song, having pictures with the guests and making Mum feel extra special. Fabulous vocals, slick routines and stunning, authentic costumes. Thank you so much! Lovely girls and 2 great sets. The first set was 40's wartime style and the second was a 50's rock and roll style set... The crowd loved the 2nd set! Amazing professional group, very approachable and accommodating women whom made my retirement party go with a swing, will definitely hire them again for further family parties. A big thank you from the bottom of our hearts to The Daisies for an absolutely amazing and entertaining night of music at our 1920's night on Friday. The girls presented an array of music from 1920 to modern day. Guests were amazed by the group's vocal range and performance asking "Where did you find this band they are so professional, friendly and entertaining beyond belief" Our night was made complete for our wedding by the girls and a special thank you to Claire who, from a list of suggested music, compiled a faultless routine and DJ mix in between the band's breaks. If you want a wonderful night of wonderful entertainment this group is a must!! 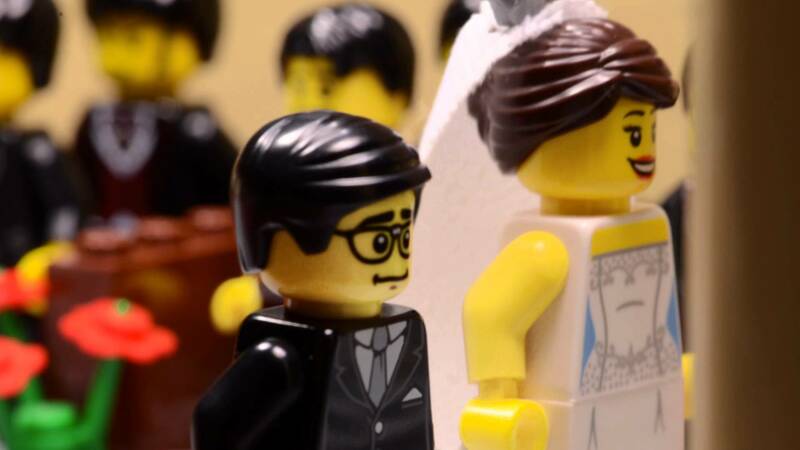 Once again, thank you from the bottom of our hearts for making our wedding complete and I am sure "we'll meet again some sunny day"!! Yesterday, Disabled Living hired The Daisies to perform at a 1940's themed tea dance for people with dementia, their relatives and carers. This event was to mark the start of Disabled Living celebrating 120 years of providing services. It was essential we had a very interactive and upbeat performance as photographs and videos which were taken on the day will be used for social media and our website. In addition, Disabled Living have been awarded Heritage Lottery Funding for a range of projects showcasing our history and this event will be captured within elements of these projects. Our guests and staff absolutely loved the show The Daisies put on, their compilation of tracks was spot on, with an extremely polished and professional performance. Ideal for any type of social or corporate event. The booking process was extremely easy and professional. I will use Warble Entertainment to suggest ideas for our next event in December. These girls were AMAZING, totally professional in the build up to the event and truly wonderful entertainers. Fantastic, very good comments from family and friends. Absolutely brilliant on and off stage. Made my mums year. I will highly recommend. All correspondence with Warble was dealt with in a friendly and professional manner. Matt kept me up to date during the run up to the party. I will definitely use Warble entertainment again. Thank you. They were brilliant. They far exceeded my expectations and were a hit with everyone at my event. Their modern songs were just as authentic as their 40's repertoire. I have nothing but praise for them and they themselves were delightful. Top Marks. I booked The Daisies for a surprise vintage themed 70th birthday party for my wife on the strength of their excellent reviews. They more than lived up to these and exceeded my already high expectations in every respect from their pre-show preparation liaising with set lists to their stunning vocals and performances over three sets on the night. They captivated, entertained and enthralled our guests the whole evening and will be a talking point for a long time to come. Not just an act to watch - one that truly engages with their audience on stage, on the party dance floor and between sets. Fabulous, stellar! The Daisies were outstandingly professional, flexible and friendly, going the extra mile to make sure our event was a success. We've had outstanding feedback on both their performances and the way in which they mixed with people attending our event when they were off-stage. I wouldn't hesitate to recommend them in the future. The Daisies are only what I can describe as superb! They have a fabulous, genuinely authentic sound and thoroughly entertained everyone at the party. They engaged people immediately and had everyone up on the dance floor. We had so many positive comments about their performance, with absolutely everyone saying how wonderful they were. Their performances on the night were not only stunning but were a recommendation to all that attended. I would definitely hire them again! Well done The Daisies for a truly wonderful evening! Very talented ladies, welcome back anytime. Do you provide a PA system and lighting system? Yes we provide a full pa system and lighting show. What are your requirements at an event? We will need a minimum of 3m by 4m space for performance, plug sockets x3, changing area, small table and drinking water. We offer one request free of charge and further requests at an additional cost. When will you arrive for a gig? We will arrive 2 hours prior to our performance, allowing time for setup of PA system and sound check. What are your usual performance times? 1 hour / 2 x45 / 3x30 / 2 hours. However we can tailor make our show times to suit your requirements. How do we arrange payment for the show? This can be arranged with cash on the day or cheque. Do you provide a band? We have a 5-10 piece swing band that can accompany The Daisies if required. Can you play music in between sets or provide a DJ service? 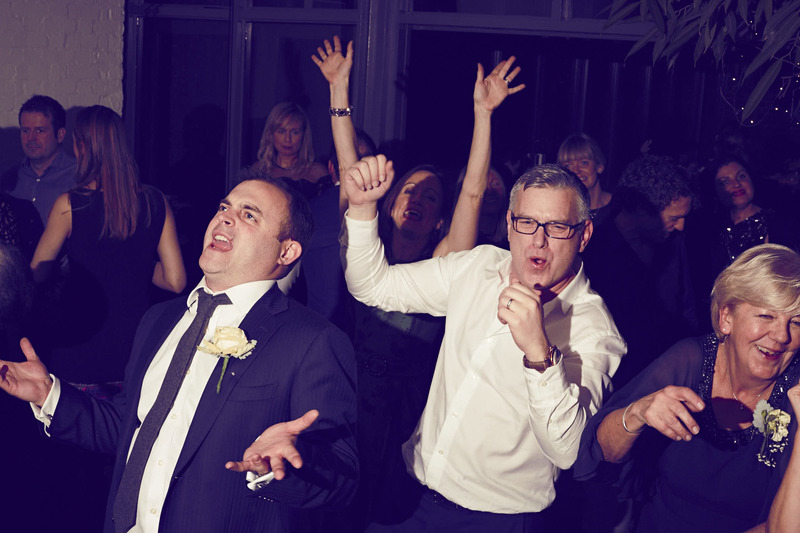 Yes we can provide a DJ service as required. Yes we have full public liability insurance as well as having all of our electrical equipment pat tested. Are you able to perform outside? Yes. However we will require protection from weather conditions such as, rain, snow etc. to protect our electrical equipment. We also require power points for electrical equipment. Are your shows fully adaptable? We can adapt our show times, length of shows and material to meet your requests. 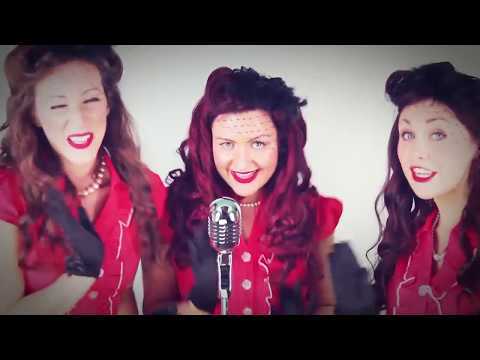 Customers who have enquired for The Daisies have also been interested in the following Vocal Harmony Groups and Vintage Singers for Hire in Derbyshire and the East Midlands. For more information or further options, please call 0845 643 9384.